Alexis Sanchez will miss in any event the initial two amusements of the Premier League season for Arsenal, with mentor Arsene Wenger saying the nonappearance is because of damage as opposed to questions encompassing the forward's future at the club. Wenger said Wednesday that Sanchez maintained a stomach strain on Sunday — hours before Arsenal's prevail upon Chelsea in the Community Shield at Wembley Stadium — and will be out for "two weeks or one more week." Arms stockpile plays Leicester at home on Friday in the opening round of the group season. 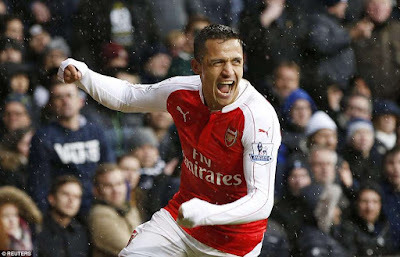 With Arsenal neglecting to meet all requirements for this present season's Champions League, Sanchez has been intensely connected with a move far from The Emirates Stadium despite the fact that Wenger has over and again said this offseason that the Chile worldwide is not available to be purchased. Manchester City and Paris Saint-Germain are allegedly keen on the player, who has only one year left on his agreement at Arsenal. Wenger wouldn't state if any offers had come in for Sanchez. "I can't reveal to you that right now," he said. "I simply think we are not open — what I said to you commonly — to any offers, in any case." Sanchez's last diversion was the Confederations Cup last for Chile on July 2 and he was offered an expanded summer reprieve. His underlying come back to preparing was postponed by three days, with Arsenal refering to a sickness, and now he is harmed. Wenger said Sanchez would not have begun against Leicester regardless of the possibility that he wasn't harmed. 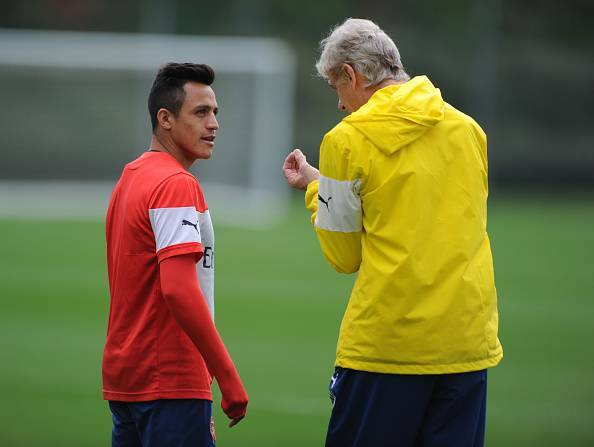 "We have the various players arranged in pre-season and they are altogether prepared," said Wenger.